Shalom Auslander is an American author and essayist. He grew up in an Orthodox Jewish neighborhood in Monsey, New York where he describes himself as having been “raised like a veal”. His writing style is notable for its Jewish perspective and determinedly negative outlook. Auslander has published a collection of short stories, Beware of God and a memoir, Foreskin’s Lament: A Memoir. 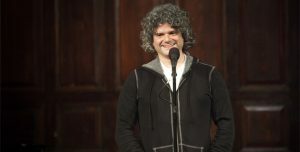 His work, often confronting his Orthodox Jewish background, has been featured on Public Radio International’s This American Life and in The New Yorker. In January 2012, Auslander published his first novel, Hope: A Tragedy. 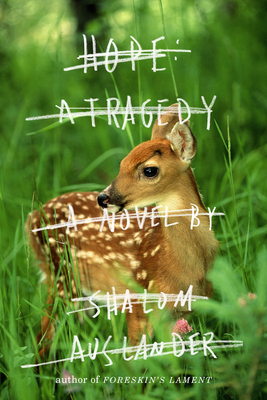 The bestselling debut novel from Shalom Auslander, the darkly comic author of Foreskin’s Lament and Beware of God. The rural town of Stockton, New York, is famous for nothing: no one was born there, no one died there, nothing of any historical import at all has ever happened there, which is why Solomon Kugel, like other urbanites fleeing their pasts and histories, decided to move his wife and young son there. His ailing mother stubbornly holds on to life, and won’t stop reminiscing about the Nazi concentration camps she never actually suffered through. To complicate matters further, some lunatic is burning down farmhouses just like the one Kugel bought, and when, one night, he discovers history—a living, breathing, thought-to-be-dead specimen of history—hiding upstairs in his attic, bad quickly becomes worse. Hope: A Tragedy is a hilarious and haunting examination of the burdens and abuse of history, propelled with unstoppable rhythm and filled with existential musings and mordant wit. It is a comic and compelling story of the hopeless longing to be free of those pasts that haunt our every present. Shalom Auslander was raised with a terrified respect for God. Even as he grew up and was estranged from his community, his religion and its traditions, he could not find his way to a life where he didn’t struggle against God daily. 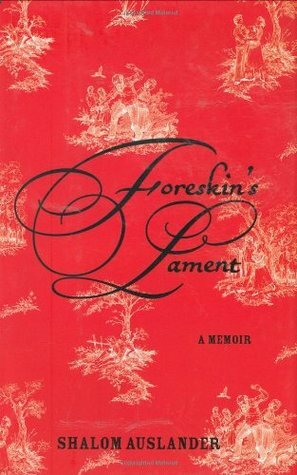 Foreskin’s Lament reveals Auslander’s youth in a strict, socially isolated Orthodox community, and recounts his rebellion and efforts to make a new life apart from it. Auslander remembers his youthful attempt to win the “blessing bee” (the Orthodox version of a spelling bee), his exile to an Orthodox-style reform school in Israel after he’s caught shoplifting Union Bay jeans from the mall, and his fourteen mile hike to watch the New York Rangers play in Madison Square Garden without violating the Sabbath. Throughout, Auslander struggles to understand God and His complicated, often contradictory laws. He tries to negotiate with God and His representatives-a day of sin-free living for a day of indulgence, a blessing for each profanity. But ultimately, Shalom settles for a peaceful cease-fire, a standoff with God, and accepts the very slim remaining hope that his newborn son might live free of guilt, doubt, and struggle. Auslander’s combination of unrelenting humor and anger–one that draws comparisons to memoirists David Sedaris and Dave Eggers–renders a rich and fascinating portrait of a man grappling with his faith, family, and community. Roads are no place for naive chickens dreaming of nirvana. Kugel was a firm believer that death was not always a bad thing – that life often reached such levels of crapitude that dying was preferable to living.